By Miriam Valverde on Sunday, October 7th, 2018 at 10:00 a.m. In the run-up to the elections, Politico Facts - is presenting data that attempts to justify the various positions on immigration. It can be hard to classify actual data since the parameters by which the data is defined frequently shifts. Which administration is responsible for the highest level of deportations; Obama or Trump? Is a silly classification to consider when humanitarian and social constraints are remis from the data. Deportations of recent border-crossers v/s actual deportations of immigrants from within the country can skew the facts. Moreover, criminalization, separations, incarcerations, and deportations of innocent family members who have lived in the U.S. for decades, and who were empowered to do so by all administrations that have assigned U.S. Federal tax ID's and have subsequently received millions in tax revenues, are not identified herein. 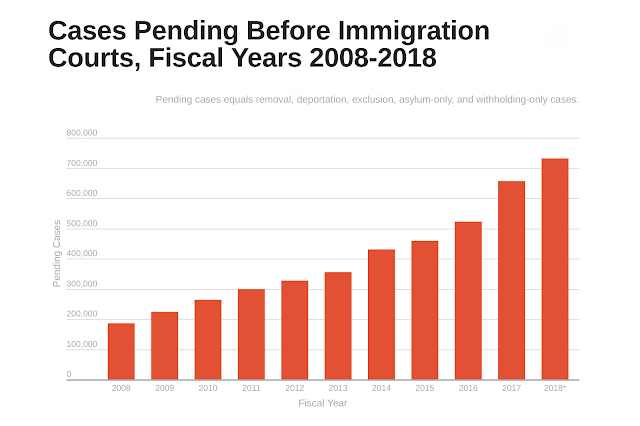 Thus a comparison of data that would show an increase of family separations and deportations of individuals not previously targeted during the Obama Administration (which offered humanitarian discretion unlike the Trump Administration's inhumane deportation force that is rounding up and sending the same individuals away, is not accounted for in available charts today. 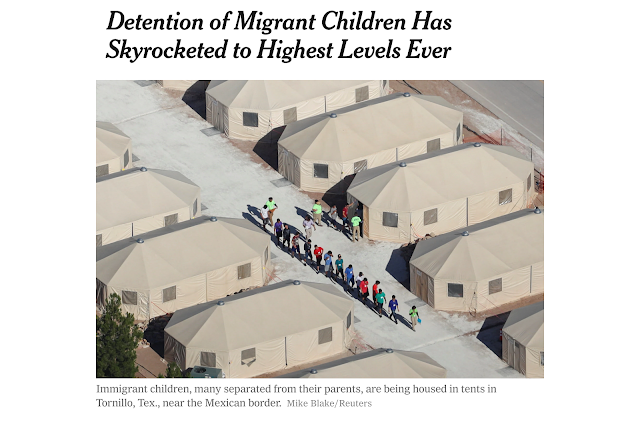 Further to the point, while the data presented by Politico remains alarming and informative, a September 2018, New York Times report, Detention of Migrant Children Has Skyrocketed to Highest Levels Ever, reports that under the Trump Administration there were 12,800 youth detained in September alone, compared to a reported 2400 in May of 2017 thus further exposing the significant jump in the detention of children in the current administration. The data is staggering. The treatment of immigrant families in America has reached an all-time low. It is unconscionable and inhumane how the Trump Administration and the single-handed direction of DOJ Attorney General Jeff Sesssions are destroying the lives of immigrants. While the GOP looks the other way, immigrant families are suffering. In November, we must vote the "good ole boys" of the GOP, and the disempowered women of Congress, out of office! We must no longer accept the criminalization of innocent immigrant families in America. We must create amnesty. We must honor DACA. And, we must restore faith in American values of a nation that is a melting pot of global and cultural diversity "within America."